Everyone wants to be virtuous, but recent psychological investigations suggest that this may not be possible. Mark Alfano challenges this theory and asks, not whether character is empirically adequate, but what characters human beings could have and develop. 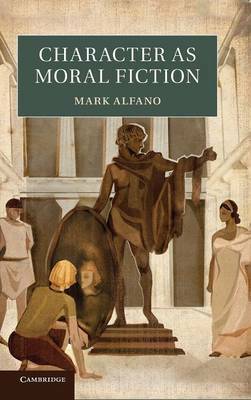 Although psychology suggests that most people do not have robust character traits such as courage, honesty and open-mindedness, Alfano argues that we have reason to attribute these virtues to people because such attributions function as self-fulfilling prophecies - children become more studious if they are told that they are hard-working and adults become more generous if they are told that they are generous. He argues that we should think of virtue and character as social constructs: there is no such thing as virtue without social reinforcement. His original and provocative book will interest a wide range of readers in contemporary ethics, epistemology, moral psychology and empirically informed philosophy.